Getting dirty as a child allowed Doris Duke to develop into the daring woman she became. I wonder how many eight year old girls today would be allowed to wander on the beach in a dirty shift, with mud up to their knees? That was Newport, which is not known, even today, for freedom of expression, especially for girls and women—unless, perhaps, it is on the tennis court. Today, she might be called a Free-Range Kid, one of the small group, offspring of parents who have begun to see the damage done to children and adults alike by over-supervising—one of the unfortunate effects of a declining participation in the values of feminism, which always included a woman’s right to develop outside of the role of mother/sister/daughter/wife. Not to be a full-time supervisor, overseer, seer of hidden and perhaps imaginary dangers. Free-Range Children range: two boys, aged six and ten, were picked up by the police as they were walking home from school. “We are not lost, we’re Free Range Kids,” they insisted—and bourn home in the patrol car. The policeman dared to upbraid their father. We don’t really like our children to be free. We’re not sure we want to be free, ourselves. How many of us walk in unfamiliar neighborhoods or even take a new route, driving to work? 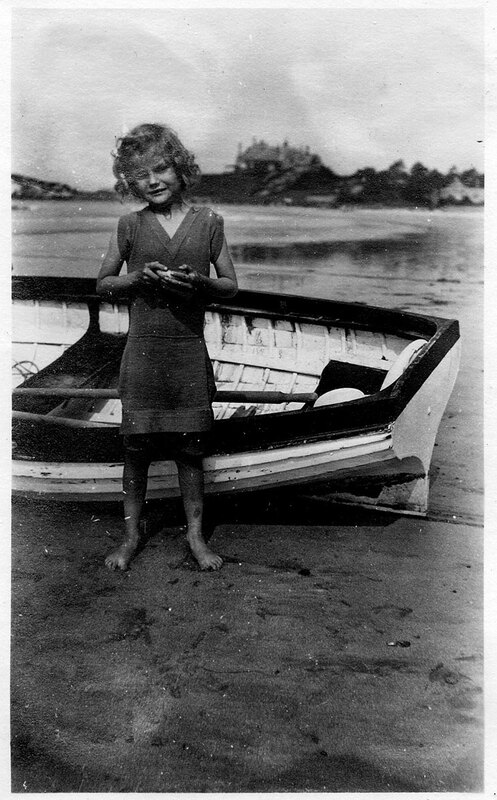 Doris, who at thirteen after her father died would begin to own and manage two of his vast estates, who would come into a third of her inheritance at twenty-one, and use the first cash she’s ever handled to buy an accordion, some costume jewelry, and a ticket to Florida, started on her way when she wandered the Newport Beaches. No one was watching her—well, someone was, with a camera. No one was alarmed when she walked back to stately Rough Point, her parents’ mansion, covered with sea slime and salt and plain old dirt. Forget squeamishness, forget parties with gold trinkets buried in sand in the middle of the dining table, for guests to dig for with golden trowels. The imagination is also nurtured when children play freely in nature. Your post brought this beautiful memory back to life. I’m so grateful I grew up when I did, and had many outdoor adventures. Great photo! I think I’ll build a mud hole for my grandchildren.